For South Adelaide the equation is simple. 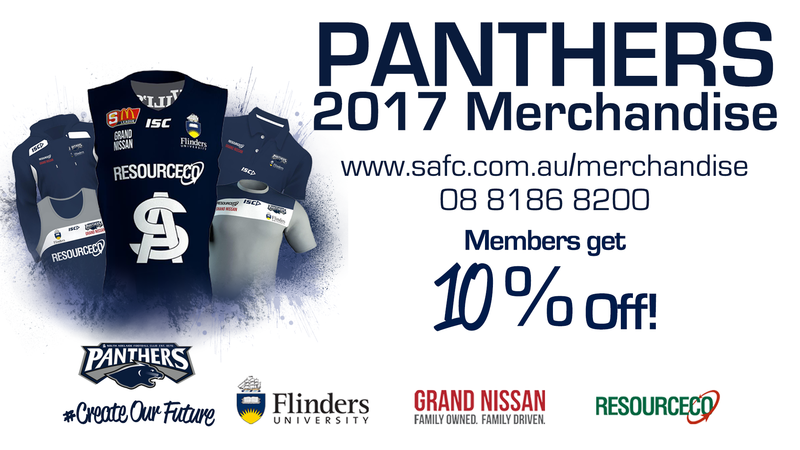 Only a win against Adelaide at Hickinbotham Oval on Saturday afternoon will give the Panthers a chance at playing finals footy in 2017. South also need some other Round 18 SANFL Macca's League results to fall their way - Glenelg must lose to West Adelaide and the Eagles must beat the Bulldogs - but it all starts with banking the points in Noarlunga. 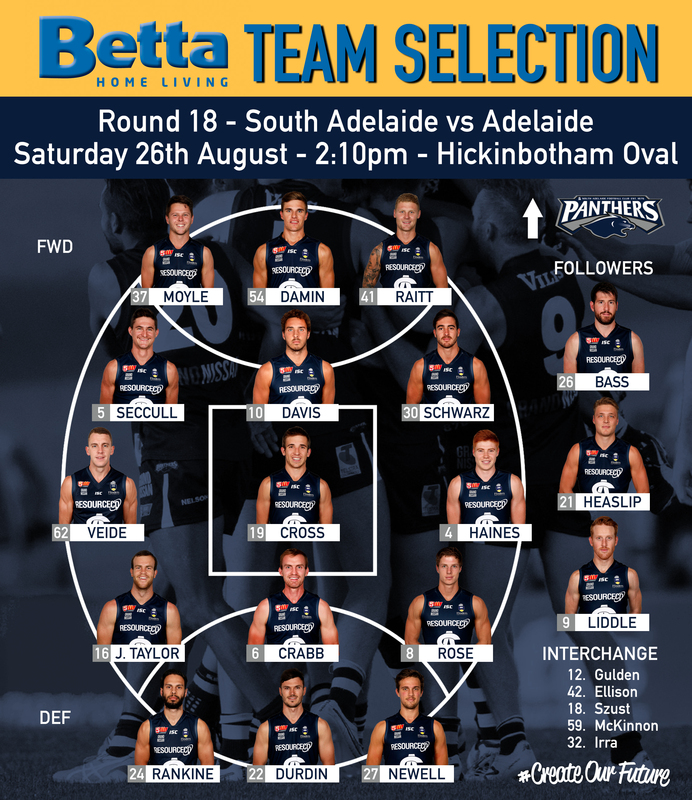 The Panthers will make at least three changes to the team that fell to Sturt in Round 17, with Tom Fields pulled from the lineup with a calf complaint and Tarak Redigolo and Alex Cailotto omitted from the side. Young utility Alex Moyle has been recalled for his second senior game and named in a forward pocket, while Nic Schwarz also returns to the side after being a late scratching against the Double Blues with a thigh injury. The latter will line up for his 50 SANFL Macca's League game. At the other end of the ground, Jordan Taylor returns to the Panthers backlines, while young defenders Jesse McKinnon (Victor Harbor - GSFL) and Robert Irra (OSB/Lonsdale - SFL) could be in line to make their senior debuts after being named on an extended bench. McKinnon, the son of West Adelaide premiership player Robbie McKinnon, has played 16 Reserves games in his first year with the seniors after progressing through the Panthers junior programs. Meanwhile, Irra is the younger brother of former Panther and current Power rookie Emmanuel Irra and has spent the past three games with the Reserves after beginning the year with the Under-18s. If this doesn't get you excited for Round 18...nothing will! With no Reserves game on beforehand, the day's curtain raiser will be held between ladder-leading SFL U15 sides Flagstaff Hill and Reynella, with action kicking off from 11:45am. Earlier in the day the Panthers Under-18s will be in action at Footy Park from 10:30am against North Adelaide in their final match of the minor rounds. Meanwhile, the Club's top-of-the-table Under-18s will simultaneously be in action at Hickinbotham Oval from 11:25am against the Double Blues. 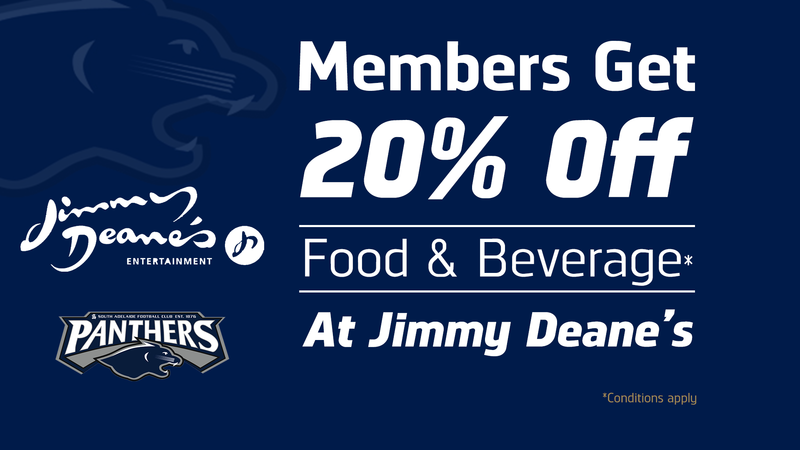 Round 18 is also Member Appreciation Round, with the Panthers offering some great rewards to their loyal supporters - click here for more information. Support our juniors with a tax deductible donation to our Junior Development Fund!